Provides high-quality, timely and creative tax, audit, accounting and consulting services to businesses and individuals of all sizes. Mueller Prost achieves this by developing teamwork, fostering mutual respect and utilizing the skills of all personnel. It is committed to the long-term continuity of the firm and its clients through consistent growth, sensitivity to quality of life, and individual development. Mueller Prost offers a full range of professional tax, audit, accounting, and consulting services. Advising with Vision® is more than just a tagline, it is how we do business. We understand the importance of our role as CPAs and advisors and the trust you place in us. We take a proactive approach and work with you to seek out business opportunities. We help you maintain a competitive advantage and are dedicated to assisting you throughout each phase of the business life cycle. 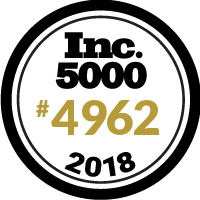 We're excited to be featured on the Inc. 5000 list and thankful for our clients and employees who make us a great firm!